Well, at every step of my treatment I was told exactly what would happen, predicted outcomes and cost. Chris and his team were professional, courteous and friendly. I was received very well every time I went to the dentist surgery. Tim has been my dentist for five years. He has given me excellent advice, has always made me feel confident in my approach to dental hygiene, and creates a calm which I believe to be vital when undergoing dental work. I cannot thank him enough for the work he has done over the years. I now smile with confidence. He injects analgesic very slowly so it doesn't hurt and puts the chair a long way back so it's easier to keep your mouth open. He asks me what I want, and trains all his staff really well so they are very professional. So far my experience of Park Dental has been a great pleasure - I'd highly recommend their services. Thank you Karen and Varda. Lovely people who put me at my ease and cared and advised me about my teeth maintenance. I can't recommend Tim and his team enough. Super service, help and advice, a warm welcome and where nothing is too much trouble. Appointments that suited my needs and local too. I highly recommend Tim and his Team. To Tim & all the lovely ladies at Park Dental Care. Thank you for your kindness and accomandation frm start to finish. Also thank you for ym teeth! @Emmalouwalsh: If you are looking to have some dental work done @PDCNottingham are the best dental practice i have EVER been to, and i have been to many! @PDCNottingham: @Emmalouwalsh Thank you for your kind words. Our clients mean a lot to us. @Emmalouwalsh: No problem, my boyfriend recommended me, he had some bonding work done, and my friend has been in for a consultation! I came to Park Dental Care because i felt under confident about my smile. Everyone was really friendly & helpful when i came & i got really great advice about what treatments were available & how much they cost. Throughout my treatment all of the appointments were convenient & really useful in terms of keeping me updated on my progress of my treatment. Now that my treatment is complete, i feel a lot more confident, love my smile & still come to Park Dental Care for check ups because i know that i will get the best service & treatment possible. I couldn't recommend the practice enough & will continue to come here. To Tim & all the staff at Park Dental Care. Thank you for my amazing new smile. I have to say I was never keen on getting my teeth cleaned as I use to find it quite painful, however since going to Park Dental Care, I can't believe the difference as you don't feel any pain, and they take their time & do a fantastic job. I highly recommend this service. Also the staff are very friendly which is a bonus! I have just completed my course of Invisalign and I am delighted with the results. At last, after years of living with my crooked teeth and an incorrect bite, I have beautifully straight teeth. I feel so much more confident about my smile. I highly recommend Tim & his wonderful team at Park Dental Care. Their friendly and professional approach really made a difference and the results are more than I could have asked for or imagined. Thank you for the amazing treatment, attentive service and for always being so friendly. I've really appreciated it and I'm blown away by the results. Thank you all for the wonderful treatment I received at Park Dental Care. You're a lovely bunch of people. I just want to take the time to thank all the staff at Park Dental, for being amazing over the past 9 months, you have made me feel so welcome and put at ease. Tim has been amazing at transforming my smile & I couldn't be more happier with the final result. It has completely changed my confidence and I can't thank him enough for that. I highly recommend Park Dental to anyone who is wanting a new smile. I want to say a big thank you for your excellent care and expertise with my teeth & I wish you all a bright future. Thank you for my new smile! I will be sure to use it every day! Relaxed environment, friendly staff & fantastic results. Would recommend to friends. After several years of being self conscious of my over lapping front teeth, I decided to take the plunge and look into getting a brace. After thinking long & hard I opted for a Inman aligner. I had read positive and negative feedback. After just 3 weeks of wearing my aligner I could really see a difference, now just 14 weeks later my front teeth are straight and my treatment is almost finished. I am really pleased with my results. The only negatives are my speech was always a little lispy, but with the Inman it's so simple to remove when required, then just pop it back in. No one even notices. I would definitely recommend the Inman aligner for a fast & cheap treatment. Tim, Thank you so much for, first giving us confidence to have the dental treatment done to our teeth to make our "smile" much nicer, second for carrying out very complicated work needed, and last but by no means least, the kindness & welcoming staff at the practice. We will recommend you to everyone. I am no longer terrified I know everything will be done to make my visit pain and stress free and it starts from the minute the door opens. I know I am being told the truth and i know I will not be sold treatments I do not need. I know my teeth are now in the best possible hands. The professionalism & knowledge of this team is the highest example who care about their professions, their clients and reputation should be. I will not go anywhere else now; I just hope Tim & his team don't either!! My most sincere thanks to you all and the kindest regards to every one of you. Tim and the team have been fantastic. They are all caring, helpful & understanding, do a brilliant job of putting you at ease (especially if dentists make you nervous). 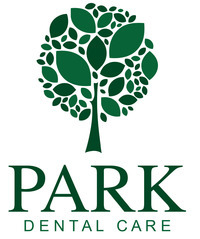 I have been a registered patient with Park Dental Care for over 10 years. During this time I have always found the service first class. Tim & his team have been consistently vigilant of my dental health, and where treatment is required have usually offered a couple of options. I have no plans to change my dental care provider for the foreseeable future. 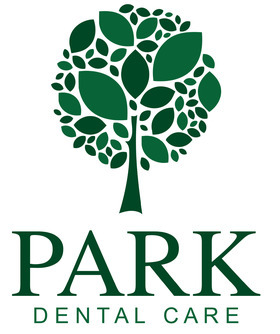 Park Dental care offer a fantastic service that is tailored to the needs of the individual patient. They always explain treatments fully and leave you feeling confident that they are doing a good job. The team are very caring and gentle with patients like me who panic about pain!! I would have no hesitation to recommend them to friends and family. Outstanding care, very professional staff. Completely satisfied with my treatment and Tim completed my dental work in time for my father of the bride speech. Great boost for my confidence. After years of dreading visits to the dentist i am over the moon to find a practice that has given me the support and confidence i needed. Friendly and knowledgeable staff create a welcoming atmosphere and i have complete trust in their advice. I wish I done this years ago. Guaranteed quality of work, friendly faces and a clean Environment. You get what you pay for with the benefit of trust in good work... my mouth feels loved. I have had 6 teeth replaced to give me back my smile, before I was not sure, but now the work has been completed it's the best thing I have ever done!! I had no front teeth due to grinding for 28 years. I now have a fantastic smile and it has changed my life in so many ways! Tim is so good at his job I would not hesitate to have any re-constructive work done in the future. I cannot thank him enough. A massive thanks to all at Park Dental Care who make you feel you are special.